SEATTLE – Noah Dickerson scored 16 of his 18 points in the second half, Jaylen Nowell added 17, and No. 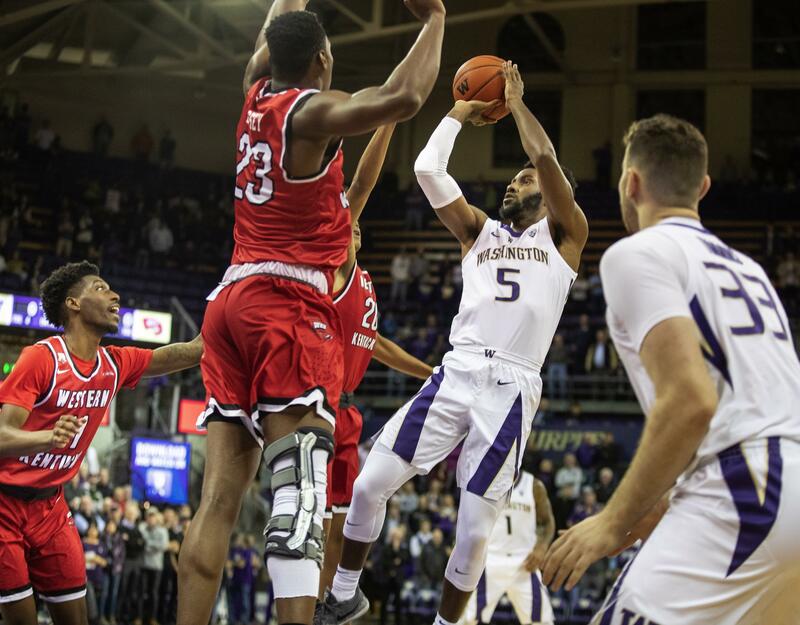 25 Washington rallied from a nine-point halftime deficit to beat Western Kentucky 73-55 on Tuesday night. Jared Savage and Taveion Hollingsworth combined for 21 first-half points for the Hilltoppers, but were silent in the second half, combining for just eight points. Savage led Western Kentucky (0-1) with 15 points and Hollingsworth had 14. Washington started the second half on a 13-0 run, erasing the damage of Western Kentucky’s 17-0 run to close the first half. David Crisp’s 3-pointer gave Washington a 37-36 lead and the Huskies led 40-36 before Bassey’s dunk finally got the Hilltoppers on the board. But it was a key six-point possession midway through the half that finally gave Washington a cushion. Nowell scored and a flagrant foul was called on Matt Horton against Dickerson as the pair headed down court. Dickerson hit the free throws for the foul and on the ensuing possession scored underneath to give the Huskies a 56-48 lead. Dickerson later added a dunk off a loose ball and Washington’s lead was 58-50 with 7:42 remaining. After another basket by Dickerson, Dominic Green’s 3 pushed Washington’s lead to 13. Published: Nov. 6, 2018, 9:54 p.m. Updated: Nov. 6, 2018, 11:03 p.m.